Media Audits in a Digital & Data Driven World? the efficacy of the current performance measurement and reporting systems in place. Managing Marketing is a podcast hosted by TrinityP3 founder and global CEO, Darren Woolley. Each podcast is a conversation with a thought-leader, professional or practitioner of marketing and communications on the issues, insights and opportunities in the marketing management category. Ideal for marketers, advertisers, media and commercial communications professionals. Glenn Granger, CEO at Marketing QED, talks data with Darren and its role in informing fact-based decision making rather than simply relying on intuition. They discuss the challenges, processes and benefits of taking a ‘Math Men’ approach to marketing instead of the traditional ‘Mad Men’ style. And provide insights into why we work the way we do and how to improve. You can listen to the podcast here. As the digital revolution enters yet another new phase, marketers are struggling to keep pace. Over the years many marketers have dabbled in new technologies by setting up silo activity with digital, search, social, mobile & experiential teams. As a result, Data divisions and IT departments have also failed to align to these new demands. We will reveal how leading businesses have broken down silos, allocated business driving objectives, and aligned digital resources and departments around common marketing KPIs. This comprehensive Guide will not only demystify the world of digital and data by explaining how it works, it will also help you put some logic back into your marketing approach. There are no bells, no whistles, no hype. 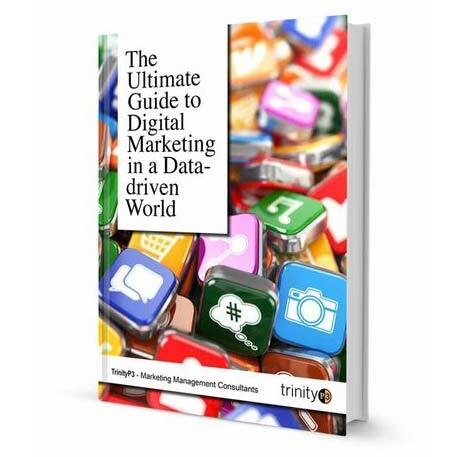 This Guide simply aims to help marketers get back to basics, business logic and follow the path from confusion to clarity… Simply fill in your details to download all 10 Chapters of the Ultimate Guide to Digital Marketing in a Data-driven World now. Click here to Download your FREE copy. Humanity in Business is proud to present the Humanity in Marketing & Media Summit showcasing the new paradigm of leadership that is striving to create truly authentic, customer centric brands. A new breed of leaders in the marketing and media industry is beginning to emerge. These leaders are driven by a need to create authentic relationships with customers and in doing so, are creating game changing strategies around how products and services are taken to market. They are passionate about creating brands that truly care about the consumer and are striving to make a link between their personal values, organisational values and the values of the customer. Click here for more information… To view the EyeLevel keynote on this topic and the answers from industry thought leaders click here.